Now an archaeological site in Iran, the ancient city of was founded by Darius I in 518 BC as the capital of the Achaemenid Persian Empire. On an immense half-artificial, half-natural terrace, the great king created an impressive palace complex inspired by Mesopotamian models. 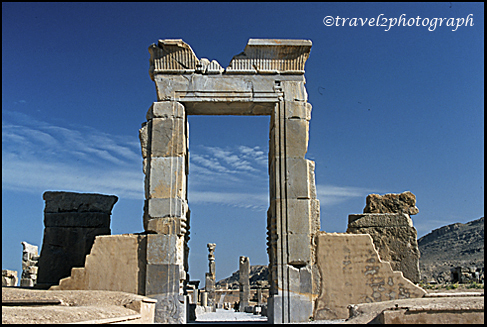 The importance and quality of the ruins at Persepolis led to its recognition by UNESCO as a World Heritage Site. Though evidence of prehistoric settlement at Persepolis has been discovered, inscriptions indicate that construction of the city began under Darius I the Great (reigned 522–486 BC). 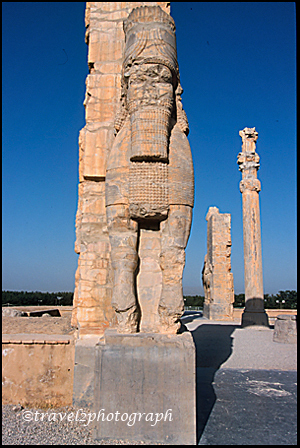 As a member of a new branch of the royal house, Darius made Persepolis the new capital of Persia (replacing Pasargadae, the burial place of Cyrus the Great). 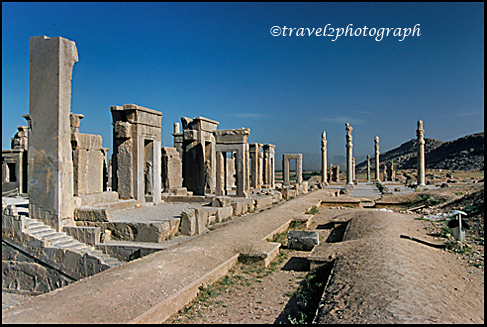 Built in a remote and mountainous region, Persepolis was an inconvenient royal residence, visited mainly in the spring. The effective administration of the Achaemenian Empire was carried on from Susa, Babylon, or Ecbatana. This accounts for the Greeks being unacquainted with Persepolis until Alexander the Great’s invasion of Asia. In 330 BC, Alexander the Great plundered the city and burned the palace of Xerxes, probably to symbolize the end of his Panhellenic war of revenge. In 316 BC Persepolis was still the capital of Persis as a province of the Macedonian empire, but the city gradually declined in the Seleucid period and after. In the 3rd century AD the nearby city of Istakhr became the centre of the Sasanian empire. Today, relatively well–preserved ruins attest to Persepolis’ ancient glory. 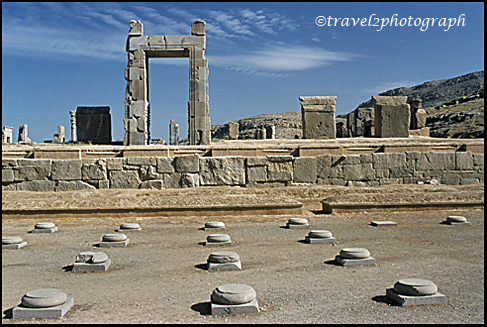 The site of Persepolis is characterized by a large terrace with its east side leaning on the Kuh-e Rahmat (Mount of Mercy). The other three sides are formed by a retaining wall, varying in height with the slope of the ground from 13 to 41 feet (4 to 12 m). On the west side, a magnificent double stair in two flights of 111 easy stone steps leads to the top. On the terrace are the ruins of a number of colossal buildings, all constructed of a dark gray stone (often polished to the consistency of marble) from the adjacent mountain. Many of the original giant stones, cut with the utmost precision and laid without mortar, are still in place. 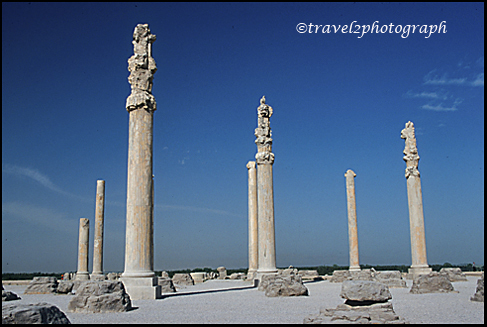 Especially striking are the huge columns, 13 of which still stand in Darius the Great’s audience hall, known as the apadana. There are two more columns still standing in the entrance hall of the Gate of Xerxes, and a third has been assembled there from its broken pieces. 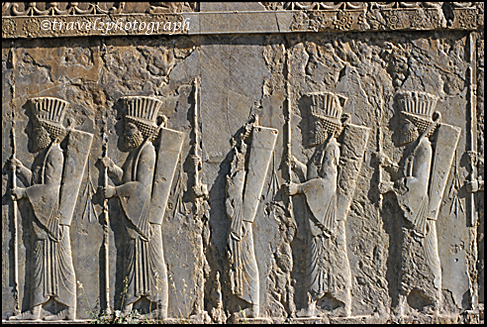 There are numerous reliefs of Persian, Median, and Elamite officials, and 23 scenes separated by cypress trees depict representatives from the remote parts of the empire who, led by a Persian or a Mede, made appropriate offerings to the king at the national festival of the vernal equinox. 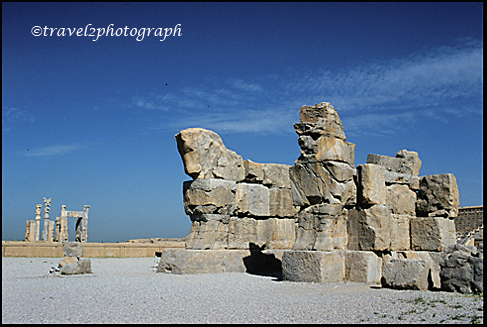 Behind Persepolis are three sepulchres hewn out of the mountainside, whose facades are richly ornamented with reliefs. Persepolis is located about 32 miles (51 km) northeast of Shiraz in the region of Fars in southwestern Iran, near the confluence of the small river Pulvar with the Rud-e Kor.